Episode 5.17 - Is Mike Trout Worth It? This week on the show Dan and Jason talk about Mike Trout’s new contract, future scenarios, the best states for every sport and the etiquette of sneezing. This week Dan and Jason talk about Dessert Storm Trading Cards, Baseball Shifting, Jason’s family chaos, the NBC Olympic channel and the Browns impending Super Bowl. Enjoy and Share! Well you've all be asking for it! We're finally doing the Mt. Rushmore of Non Human Mammals that Belong in an Alien Zoo. You're welcome!! We also talk baseball, time change and more!! What’s up y’all!! This week Dan and Jason talk about dream jobs, Jazz music, the Browns impending Super Bowl, Tottenham vs. Dortmund, the Beatles and more. This week Dan and Jason talk about flooding, the NBA deadline, the crappy Super Bowl, vacationing and also briefly expound on the evils of abortion. We're not letting the polar vortex stop us this week! This week Dan and Jason discover their current ketosis level. They also talk about Johnny Bench, Super Bowl bets, mythical creatures and more! This week Dan and Jason come together to talk about Aquaman, Nintendo Switch, Mariano Rivera, Record Players and acronyms! This week Dan and Jason talk about roller skating, the premier league, Fred Claus, Bigfoot and Jason's broken TV. The conversation continues as Lauer Road Radio makes plans to challenge @DeionSandersJr to a game of Madden. Look up his line of clothing: @WellOffForever & check out his charitable work. That leads to a discussion of his Dad @DeionSanders being a freak athlete. They also use the Bill Simmons Scenario to come up with the best athletes of all-time. This week Dan and Jason break come in strong after being gone for a week. They cover college football, premier league football, bad movies and much more! Happy Thanksgiving! This week, Dan and Jason talk about Rocky, YouTube TV, Derek Carr, 90's Athletes, Peak Speed Age and Rock Skipping. They also give us the definitive Thanksgiving Mt. Rushmore. A little late posting but we finally are putting up our fearless leader's preseason NBA picks. Enjoy! This week Dan and Jason feel compassion toward Husky Luke as well as talking about UFO's, coin tosses, and which sports figure would best booby trap a house. Jason and Dan break down delicious Kirkland Brand Sparkling Water and each bring their own 3 things. They end it by discussing some very real life and death sports scenarios. This week Dan and Jason continue the new season 5 format by bringing only the most important topics of the day. Enjoy and share it with your friends! This week Dan and Jason hit only the most important stories of the week. Including, but not limited to, Bigfoot, the Browns, Yelling at Soccer Games, Stranger Things, books and more! Also, Dan comes up with an amazing invention idea that will revolutionize falling asleep while watching televsion. A new season launches!!! This week Dan and Jason talk about college football, playoff baseball, JR Smith's Tattoo, Mike Leach shenanigans and Patrick Mahomes left hand. They follow it up with the Mt. Rushmore of playoff pitchers. This week Dan and Jason launch season 4! They bring out the new format and do a Mt. Rushmore. Enjoy! That's Right!! You've waited for it and in this week's you finally get the difinitive Mt. Rushmore of Aliens Interacting with Modern Day Earth. You're welcome America! Also, Dan and Jason talk about some sports stuff and try to settle the listener fued. A big show today! The president of the United States calls in with NFL predictions. Also, Dan and Jason try and settle a fued between listeners of the show. 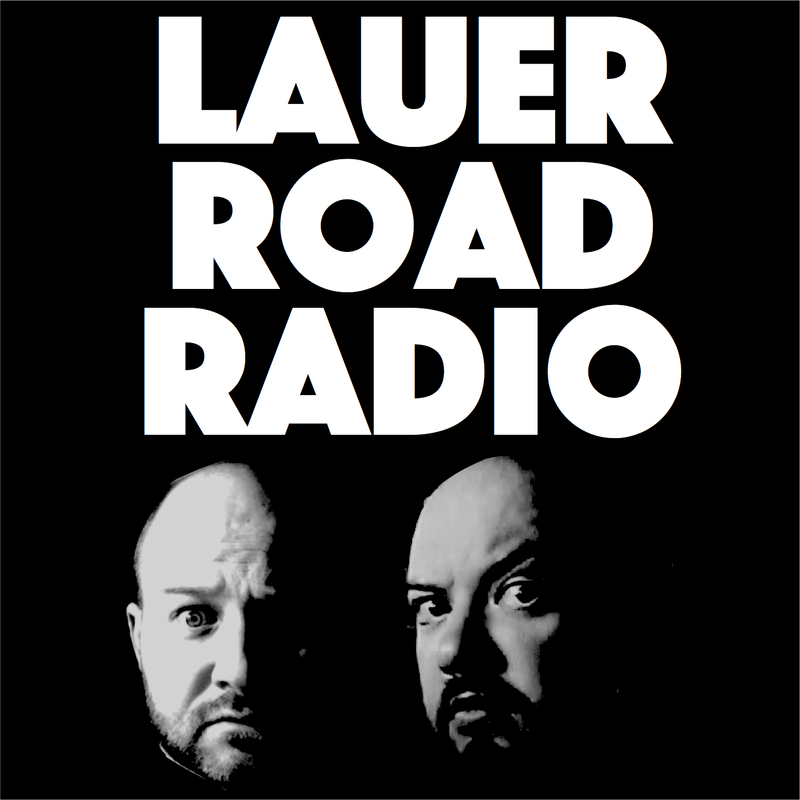 This week Dan and Jason bring back the Lauer Road Radio resident expert on professional wrestling. Enjoy! Jason - Teen Titans Go! This week Dan and Jason do a deep dive into TV Sitcoms and come up with the definitive Mt. Rushmore for TV Situational Comedies. This week Dan and Jason talk about the opening of the Premier League and more things that they want you to listen to. Dan and Jason are back with some hot sports takes! They talk about everything from ESPN Ocho to the Tiger vs. Phil $10 Million Match. Enjoy and Share! This week's episode features friend of the show "Husky Luke" as Dan's co-host... Husky Luke is our GO2 guy for College Football. Enjoy! DAN and his brother welcome the famous DaveyC to the show to talk Drake, Nickleback, NBA, Uncle Advice and more! This week Dan and Jason talk World Cup, MLB Baseball, LeBron and NBA Free Agency. The Dadvice of the week centers around family road trips. This week Dan and Jason decide where LeBron should go next season. They also talk about how to make Soccer great in America and Bikram Yoga. And now the Dadvice segment has a new theme from DaveyC! This week Dan and Jason open up with Jason's current weight and more information on their keto journey. Then they discuss the NBA Finals and the World Cup. The Dadvice segment is on maintaining control during the summer break. This week Dan and Jason talk NBA Finals, a new MLB pitcher stradegy, ESPN website programming, Dadvice about coaching your kids and wrap it up by picking NBA Mt. Rushmore by decade. This week Dan and Jason continue to rave about the Keto Diet, talk NBA playoffs, give some great Dadvice and most importantly decide which MLB hats belong on which president on Mt. Rushmore. Enjoy! Today's podcast features a Mt. Rushmore of State Flags (as suggested by Adam the Male Nurse) The guys also discussed Marvel Infinity War and the NBA Playoffs. Additionally, Dan and Jason quickly touch on the internet sensation the "Laurel vs Yanny" contoversy. This week Dan and Jason talk about the Keto Diet, the NFL Draft, the NBA Playoffs and end the show with the Netflix suggetions of the week and the Podcast spotlight of the week. Tonight's podcast features our first "Mystery Guest" - Jason, Dan & Mystery Guest (Husky Luke) discuss topics brought to the table by Luke and his twitter coverage. Lots of LeBron talk tonight... enjoy! Tonight's podcast features all things Pro-Wrestling. We interview special guest Jeremiah who host a podcast called The Torn Quad Podcast (which happens to also be our podcast spotlight of the week) check it out... it's a good one! Dan and Jason sit down with Aaron and taste test EVERY Arby's slider. After Aaron leaves, Dan and Jason break down the MLB season so far, Tottenham, the Champions League and preview the NBA Finals. You don't want to miss this one! Tonight's show features Dan & Jason's all time 21st Century Baseball Team position by position. Tonight's Podcast jumps right into the sports with some talk around Lebron James and moves on to some incredible statistical numbers from some of today's athletes which are truly historic... including the possibility of a quintuple double.